Awards Season brings a number of our faves together and we had the moment to catch up with Andrew Fitzsimons, Celebrity Hair Stylist. We caught up with him to find out about must have tips that we should use when we're prepping our locks, how he got into the business and what he's up to. ATHLEISURE MAG: You have rocked amazing hair on some of our favorite celebrities. Tell us when you realized that you wanted to be a hairstylist and your journey to becoming the stylist for the Kardashians, Joan Smalls, Ashley Graham, etc? ANDREW FITZSIMONS: I fell into hair styling at a very young age when my mom got me a summer job at a local hair salon when I was 13. I loved the work so much that when I returned to school, I realized school wasn’t for me. After much begging, my mum allowed me to pursue my dream full time, but with the conditions that I be kind to everyone, never take a sick day and work to the top of my field. I’m still working on #3! AM: As the Alterna Hair Care Brand Ambassador, what does this role entail and how did you become this? 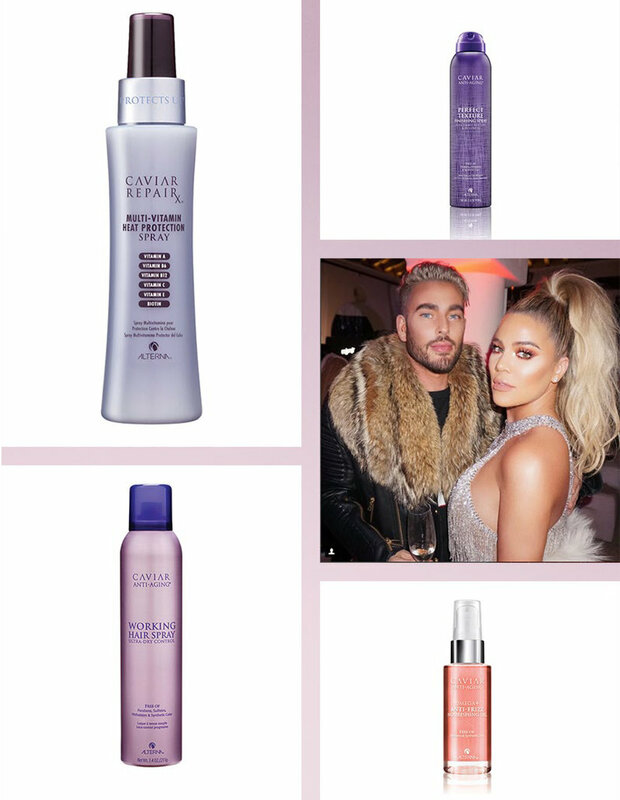 AF: One of the biggest parts of my job as Alterna Haircare’s brand ambassador is teaching women how they can use the products to get healthy, shiny, red carpet-ready hair! A lot of women struggle with styling and caring for their hair, but with the right products, it can be much easier. In addition to education, I work with Alterna on product formulation, trend forecasting, photo shoots and video shoots, events and so much more! I love getting to share my love of beauty. AM: We're in the thick of Awards Season right now - what are 10 products/tools that you always have on hand? AF: Toothbrush – My secret weapon for cleaning up baby hairs and flyaways! Dyson Supersonic Hair Dryer – This dryer is super lightweight; light tools are essential for hairdressers. GHD Curling Irons – I love these irons because they heat up so fast and are ceramic, so they help protect the hair more than most curling irons. I also like that they’re all matte black, it makes my kit look really chic. Glam Seamless Extensions – I carry extensions in every color imaginable, and lately, I've been stocking up on these, which I love. Babylisspro Nano Titanium Flat Iron – This is my favorite flat iron ever, been using it for years. It gets hair perfectly straight and shiny! hair type. It gives the hair a beautiful, healthy shine and provides light definition without weighing the hair down at all. Alterna Haircare Caviar Working Hair Spray – This buildable hair spray is a must for all of my jobs! It gives you a great brushable hold with no stickiness or tackiness. Alterna Haircare Caviar Repair Multi-Vitamin Heat Protection Spray – My clients put their faith in me that I’m going to take care of their hair, so heat protection is a must! So many people skip this step, but it’s essential for keeping your hair healthy and strong. Rita Hazan Root Concealer – This is perfect for root touch ups! AM: You're fresh from the Golden Globes, can you tell us as a stylist what the prep is like before Awards Day in terms of coordinating the hair inspiration with the other components of the look, what your schedule was like in terms of how many/who you styled that day, your prep to get ready, how much time you spent styling each of the looks and once completed what do you after a long day of this nature? AF: Usually before a big awards show, I’ll be in regular contact with my client, my client’s stylist and my client’s makeup artist. We all review the dress and I create a mood board of ideas based on the dress. At the recent Globes, I had two clients: Kendall Jenner for the Globes and Shay Mitchell for the parties. Typically, there are 2-3 hours for glam and getting dressed, so it’s not unusual to have several clients in one day. Once all my clients are done, I typically rush home with my assistant so we can watch the event coverage – it’s fun to see the looks on the red carpet. AM: As someone who is constantly on the go from set, red carpets etc how do you take time for yourself? AF: I really enjoy working out – it helps get me into a zone where I’m just focused on one thing (typically I’m juggling a bunch of jobs and projects, so there’s a lot on my mind). It’s a good way to “press reset” in a way. Yoga is another workout I love, and if I’m having a really busy day, I try to meditate for a few minutes in the car between clients. AM: When you have downtime, what would we find you doing? AF: Down time?! I don’t have that… In seriousness, I work every day and am always working on new projects and ideas. AM: What are 3 places that we would find you grabbing a drink in LA, having a meal with friends and where do you workout? For workouts I love Barry’s Bootcamp and Soul Cycle. Season to get them ready for the red carpet? AM: What charities/philanthropies do you support? AF: I actually recently partnered with the LA LGBT Center to launch the Trans Cosmetic Donation Program, an innovative charity program in which beauty professionals, influencers and celebrities can donate unused personal care products to the LA LBGT Center, and they redistribute the products to various charities that serve trans women of color in Southern California. AM: We can see you having a haircare line, extension brand etc - how else do you want to extend your skills for those that may not be able to have you personally do their hair?